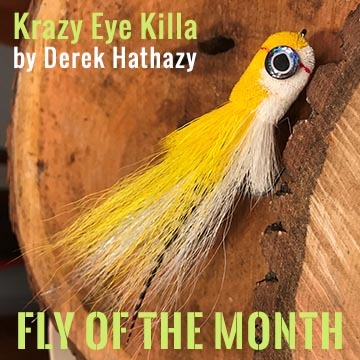 Derek designed the Krazy Eye Killa to move water and make noise. With its large deer hair head and glass rattle, it makes quite the disturbance in the water. This fly is perfect for warm water species in creeks and lakes. It can be fished with a floating line as a popper or with a sinking line as a streamer. Your choice! This entry was posted in Fly of the Month and tagged fly fishing, fly of the month, fly tying advice, fly tying instructions, fly tying materials on November 29, 2017 by Derek Hathazy. Naturally the enlightened approach to fly tying materials (not to mention the “Semper Paratis” approach and the kid-in-a-candy-store approach) is to stock up on everything under the sun. One usually begins by acquiring the materials needed for the first must-tie pattern that catches the eye, then expanding to what’s needed for other patterns of the same type (nymph or streamer or what it was that first inspired), and finally end up at the mentality of, “Hey, there’s a new kevlar flash winking eyeball thingie…the day I need one will surely come…” followed by a quick bulk purchase along with a new materials cabinet since the one you have is already full. And that lifelong odyssey is no better served than to create a mutually appreciative partnership with a great tying materials outfit like J.Stockard, from whom you can get practically anything you’ll ever need. This entry was posted in Fly Tying Materials & Supplies, Fly Tying Tips & Tools, Michael Vorhis, Fly Fisher & Author and tagged fly fishing, fly tying, fly tying advice, fly tying materials on November 24, 2017 by Michael Vorhis. I’ve never been fishing in Alaska, or anywhere in the native range of the King Salmon (Oncorhynchus tshawytscha). And unless I hit a big lottery jackpot I am unlikely to do so. 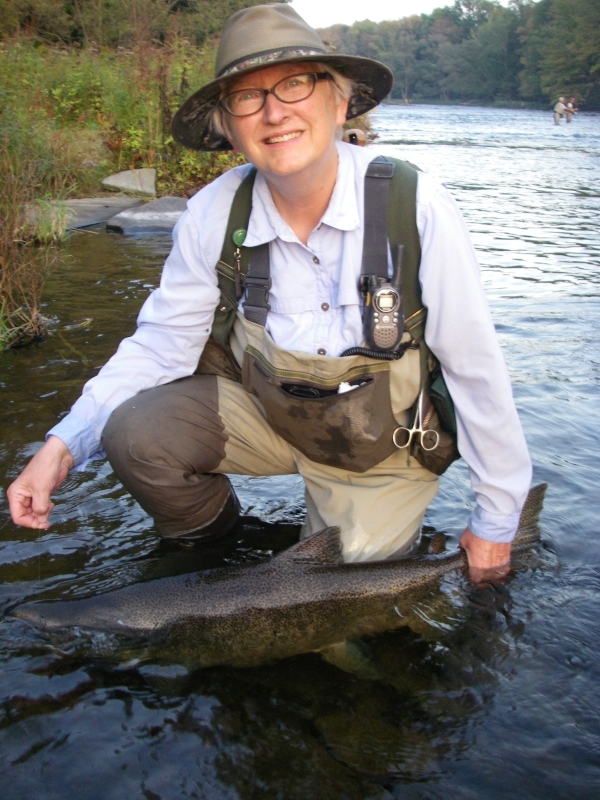 However, my home near Philadelphia is about a five-hour drive from Pulaski, New York, which is arguably the King Salmon capital of the eastern United States. And by the way, the name of this town is pronounced to rhyme with “sky,” not “ski.” I have no idea why. 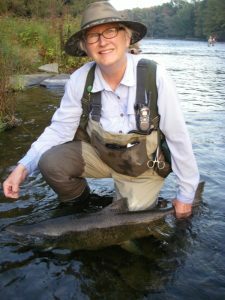 This entry was posted in Favorite Fly Fishing Spots, Fly Fishing Tips, Mary Kuss, PA Fly Fisher and tagged fly fishing, fly fishing advice, fly fishing season, salmon on November 21, 2017 by Mary Kuss.